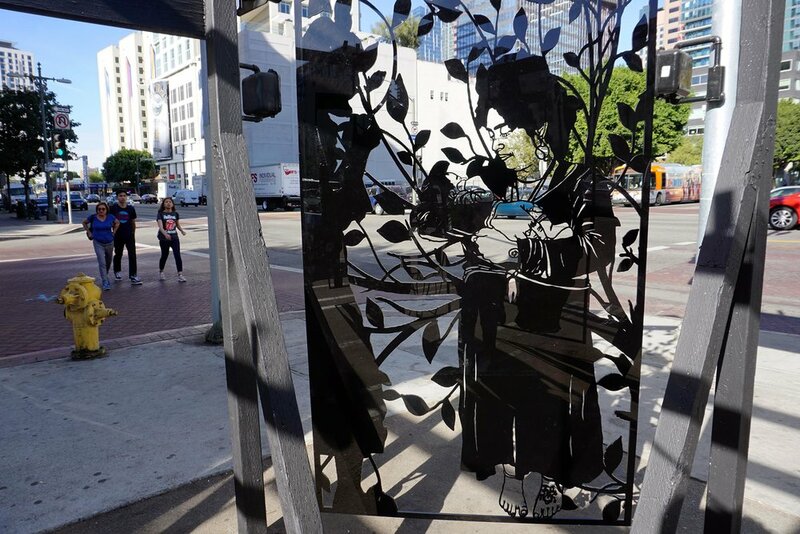 The Other Side is an eight plate laser-cut plexiglass public work installed in downtown Los Angeles in partnership with Now Art LA and The First United Methodist Church. 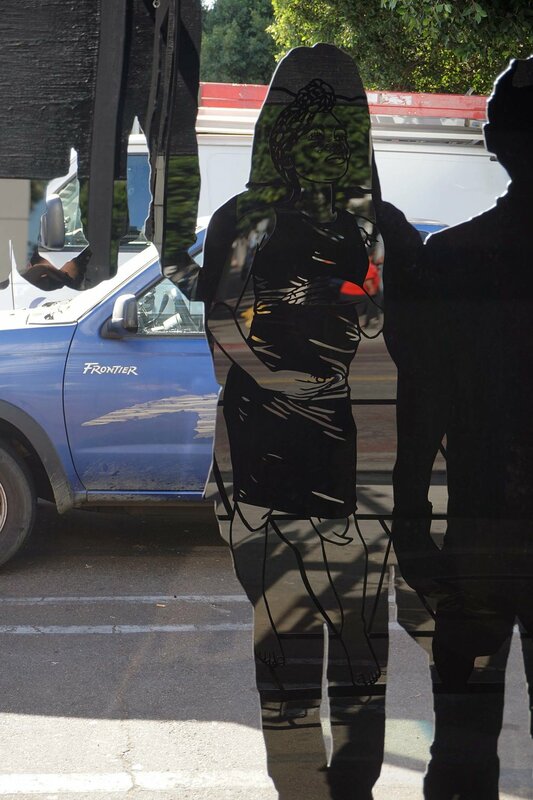 In a contemporary adaptation of the classic ‘nativity scene’, artist Noa Yekutieli reframes the biblical story through the point of view of women. As a starting point for the project, Yekutieli met and interviewed two young pregnant women, Darla and Ashanti, who were without homes at the time, to retell the story of Mary and her cousin Elizabeth. The new adaptation set in contemporary times reveals the ways in which society treats and mistreats its most vulnerable members while the mutual support of the two women points to ways in which women are able to empower and support one another in trying times. 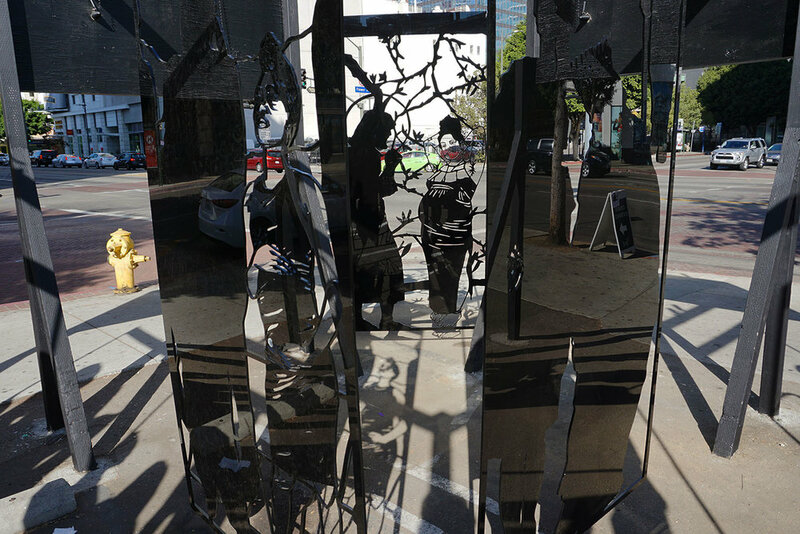 The installation’s re-telling of the narrative in 2017 starkly compares and contrasts moral, social, and political contexts. 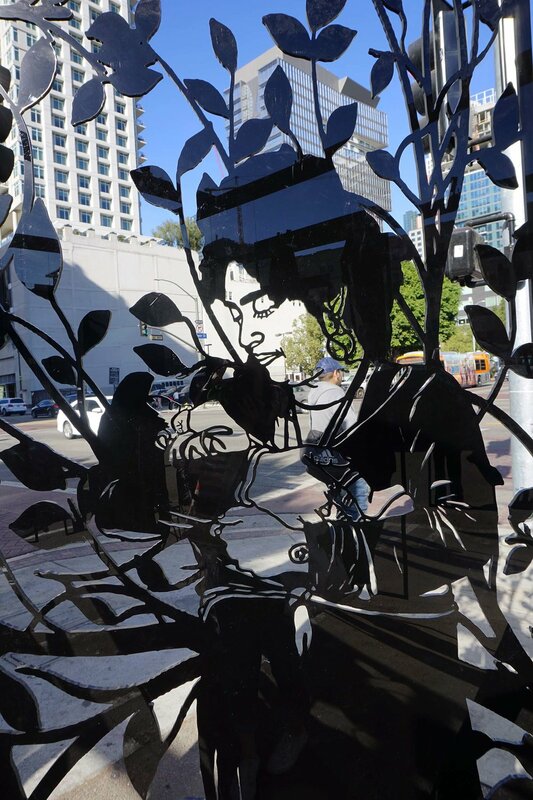 The reflective surface of the black plexiglass serves as a mirror forcing the viewer to confront their own role and relation within the story and today’s reality. 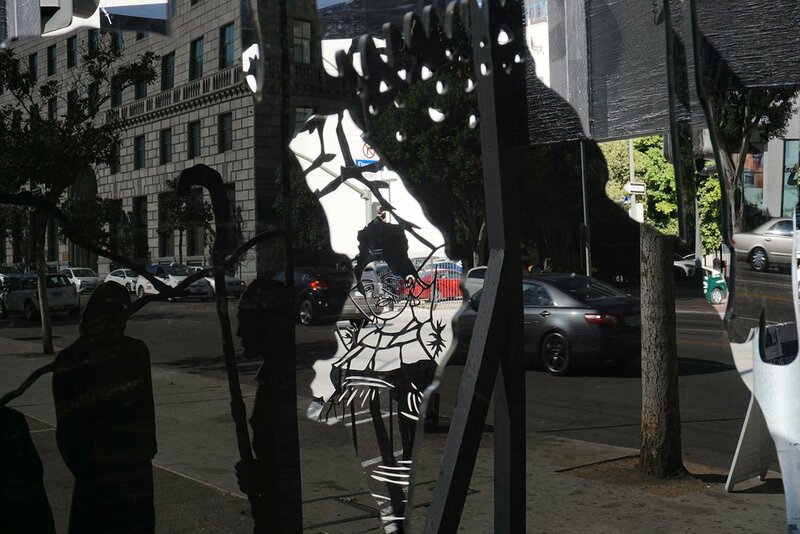 Looking through mosaic-like scenes of the installation, the city of Los Angeles becomes the backdrop as daily contemporary life fills in the negative spaces.